This sporty softshell jacket in navy is your perfect teammate on race day or any day. 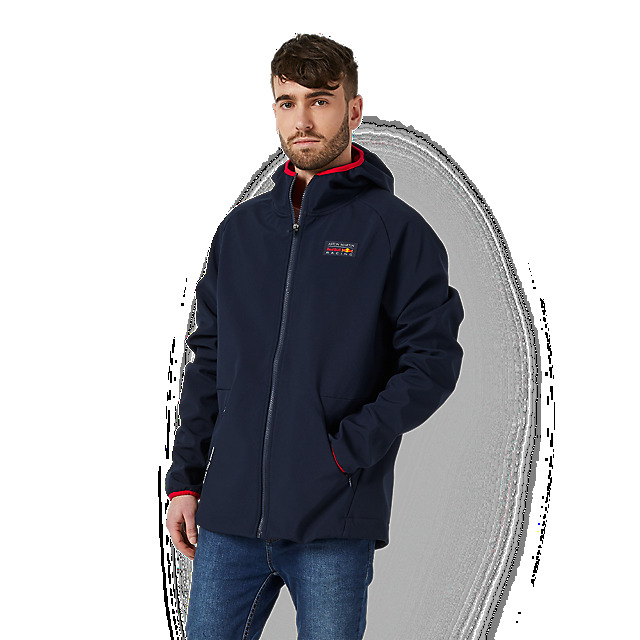 Designed to be a sleek and comfortable profile, it has a smooth outer layer and a soft honeycomb lining in red to keep you warm, together with a close fitting lined hood, a full-length zip and pockets. An Aston Martin Red Bull Racing logo badge on the front and a larger logo on the back will keep your pride on show, while a Gives You Wings print in white on the pocket adds extra inspiration.